UPDATE- Billy Rains was arrested on Monday. Natchitoches Parish Sheriffs Deputies are reporting that Billy Aaron Rains, 26, of Natchitoches is now in custody following a traffic stop on Keyser Avenue in Natchitoches. At 7:31pm, the NPSO 911 Center received an anonymous tip from concerned citizens of a possible sighting of Rains at a Natchitoches fast food outlet. Rains was featured on NPSO Facebook Page earlier this afternoon. Rains has been booked into the Natchitoches Detenter Center charged with Driving Under Suspension, Resisting by Flight, Reckless Operation of a Vehicle and Possession of a Firearm by a Person Convicted of a Felony. Deputies say at the time of Rains arrest he stated he was about to turn himself in to law enforcement. We also thank the media for their assistance. July 31 at 4:25 p.m. – Natchitoches Parish Sheriff’s Deputies are looking for a Natchitoches man wanted on several criminal charges after he fled during a traffic stop near Marthaville Sunday morning according to the Natchitoches Parish Sheriff’s Office. Deputies are looking for Billy Aaron Rains, w/m, 26, 6’02” tall, 225 pounds, brown hair, hazel eyes with last known addresses on Cormane Road in Natchitoches. 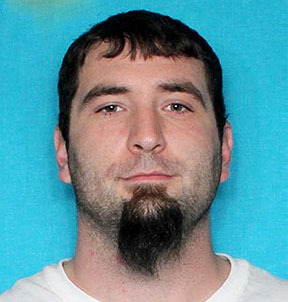 Rains is believed to be traveling in a white 2001 Ford F-150 bearing La. License# C609263. On Sunday, July 30 at 6:54 a.m., patrol deputies were in the Marthaville area when they stopped Rains. During the traffic stop, deputies learned Rains’ drivers license was suspended. He was also in possession of a FMK .40 caliber semi-automatic handgun. Deputies say at some point during the traffic stop, Rains became agitated and drove off leaving the weapon behind. Deputies attempted to pursue Rains on the Crossroad Roads Church Road and then onto the Allen-Marthaville Road and Allen-Beulah Road towards La. Hwy 487 where they eventually lost sight of his vehicle. Deputies have obtained criminal arrest warrants signed by a Tenth Judicial District Court Judge for the arrest of Rains on the charges of Reckless Operation of a Vehicle, Flight from an Officer, Driving under Suspension and Possession of a Firearm by a Person convicted of a Felony. Deputies have spoken with family members. If you see Rains, deputies ask that you not approach him but to contact the Natchitoches Parish Sheriff’s Office at 352-6432 or your nearest law enforcement agency.